The ASX is at a crucial area and buyers have a real test here now. We will be discussing the importance of this in the LIVE CHAT ROOM this week. For a continued move higher we must now see the ASX close above 5823 followed by a retest of 5930. A strong close above 5930 could see a move back up into 5985 , and if momentum to the upside is very strong we cannot rule out a strong reversal into 6070. If the ASX cannot close above 5823, we will look for a move back down to 5777 and 5746 before a pause. A strong break and close below this level however could see the ASX sell off into 5671, and if downside momentum is very strong we could see a sharp move down to 5582. Like other equity markets the DAX has started off the year with a recovery and is also now at important levels. For a continued move to the upside we must see the DAX close strongly above the 11755 – 11790 area. Should this occur, we will look for a retest 11875. If momentum is very strong, a break and close above this level could see another push higher into 12054. If the DAX fails to close above 11755, we will look for a move back down to 11362 before a potential pause. If this market continues to sell-off, a very strong move down into 11050 cannot be ruled out. The S&P has closed just shy of the very key 2600 area and we will be discussing the importance of this in the LIVE CHAT ROOM extensively. For a move higher, we would like to see the S&P close above 2600, followed by a retest of 2620. Should this occur we will look for a move into 2660 and possibly 2680 before a pause. A strong break and close above this level however could see a retest of 2704. If we cannot close above 2600 and 2620, we could see this market sell-off lower into 2562. If momentum to the downside is strong, we may see a move lower into 2562; and a close below this level may result in a very fast move down to 2540 and 2511. A weak US Dollar continues to see commodity currencies rally and the Aussie Dollar was no exception last week. The Euro move to the upside is underway but can this move be sustained? For a sustained move higher we would like to see the EURO hold above 1.1453 this week. Should this occur we could see a quick move into 1.1496 before another pause. A strong break above 1.1496 could then result in a fast move back up to to 1.1613. If the EURO cannot hold above 1.1453, we could see a fast move down into 1.1347. A break below level however could be followed by another sharp move down into 1.1249; and should momentum remain strong we cannot rule out a move to 1.1197. 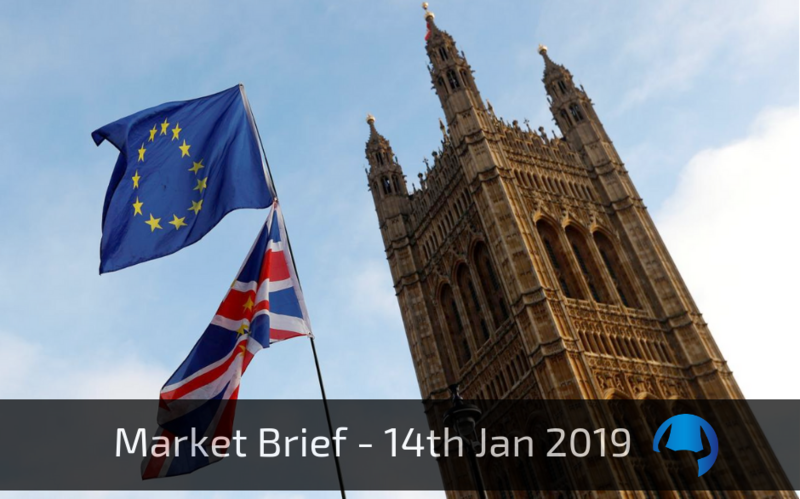 This week we have an important event for Cable as we await yet another key Brexit decision. We will be discussing this LIVE in detail in the MEMBER PORTAL this week. NOTE: This event may result in significant volatility. The $/YEN has stabilised at the important 107.75 level following its own flash crash. For a move to the upside we must now see this market hold above 108.31, on its way to retesting 109.21 before a pause. A strong break and close above this level could then see the $/YEN rally into 109.94, and if momentum is very strong we could see moves to 110.31 and 110.78. If we cannot hold above 108.31, we could see a fast move lower into 107.75. A break below this level may result in a retest of 107.36 and this is where things get very interesting. A break below this level could mean a very sharp move down to 106.52. GOLD is struggling to break through the 1294 level. We are watching this market closely here. For a continued move higher we must now see this market close and hold above 1294. Should this occur we will look for a retest of 1303. A strong close above this level could see further upside into 1313; and if momentum remains very strong, we could see a big push into 1322 and 1333. If Gold cannot hold above 1294, we will look for a move back down into 1285. A strong break and close below this level however takes us down into the key 1276 – 1278 area. Should this level break, we could see a strong move down to 1260.